Many visitors headed to this region see the famous Snow Monkey Park as the primary destination and don’t allocate time to explore other sights nearby the park. Given the global fame of the hot spring-loving monkeys, it’s easy to understand why it overshadows other destinations, however it’s worth-noting that the region surrounding the Snow Monkey Park is home to many cultural and natural attractions including all types of accommodation – including hotels, hostels, and ‘ryokans’ (traditional guesthouses). 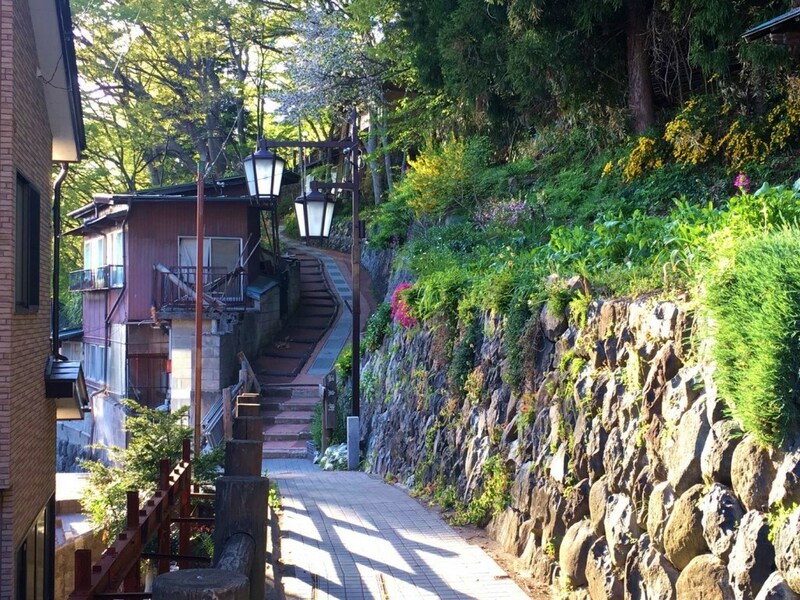 When visiting the Snow Monkey Park, we recommend staying in Kanbayashi Onsen (pictured above), the small village from which the forest trail leads to the park. With several accommodation options to choose from our recommendation is Senjukaku (pictured below) – the region’s most luxurious hotel, famous for its hospitality, service quality, traditional food, and beautiful hot springs. 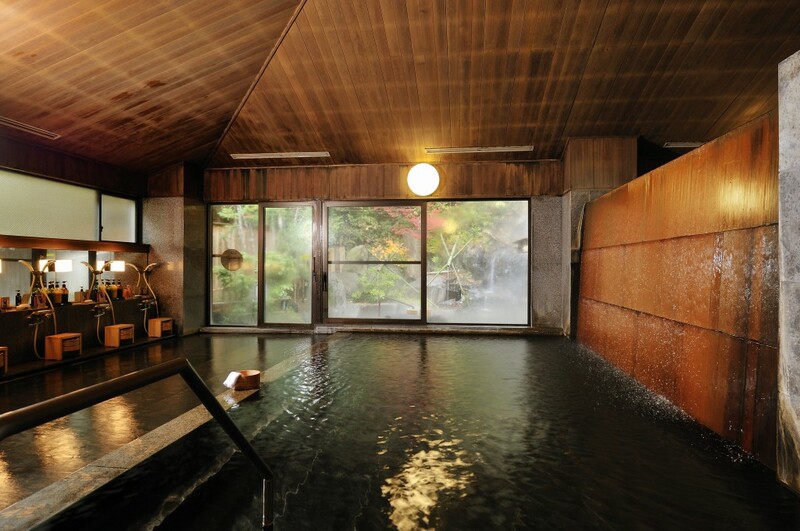 Shibu Onsen is a traditional ‘onsen’ (hot spring) town with a 1300 year history and famous for the quality of its water. 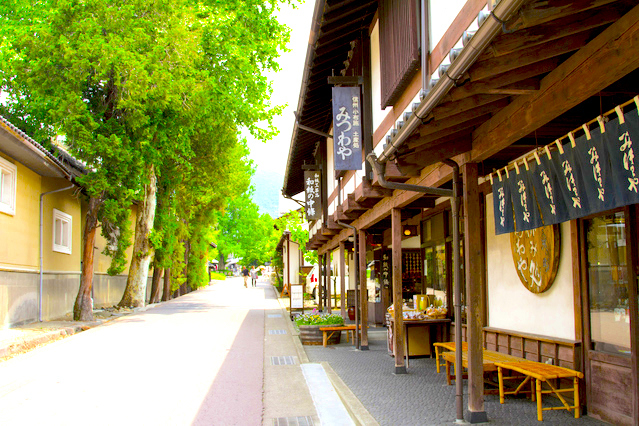 A little over 15 minutes walk from Kanbayashi Onsen, visitors can stroll its quaint laneways in exploration of this curious little town. 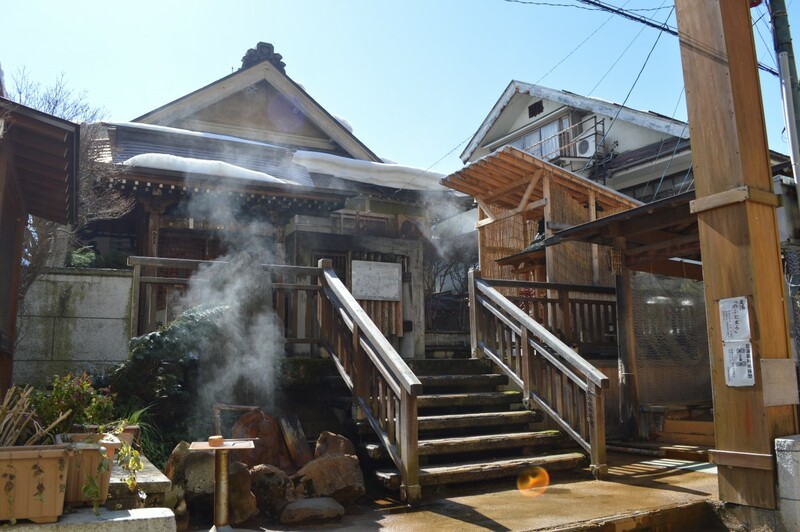 Numerous ‘ryokans’ (traditional guesthouses) are scattered through the town, each with its own hot springs and typically serving both dinner and breakfast should guests want that option. 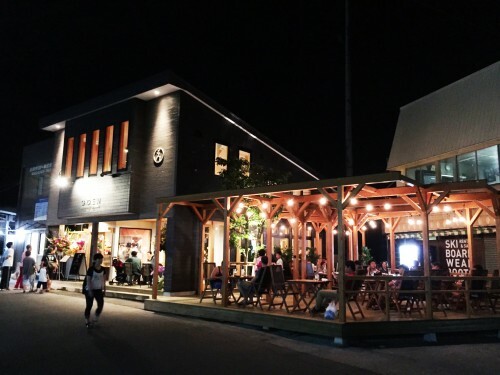 Alternatively, a good range of restaurants in Shibu serve all the usual Japanese favorites including ramen, sushi, yakitori, and ‘izakaya-style’ dining. As the map below shows, Shibu is home to 9 “public” hot springs – each with its own water source and unique medical properties – which you will be given a key to if you stay at any guesthouse in town. While in town you can also soak your feet in two free outdoor foot baths (pictured below), which anyone can use whether or not they are staying in town. The ‘O-yu’ or Big Hot spring (pictured above), is one of Shibu Onsen’s main hot spring facilities and found in the town center. Each onsen in town is claimed to have particular (often unique) healing properties and as the largest hot spring in Shibu Onsen, the O-yu is said to be beneficial for childbirth, rheumatism, and neuralgia. Of course, if you suffer from none of those ailments the water is equally relaxing just to soak yourself in. We recommend it. 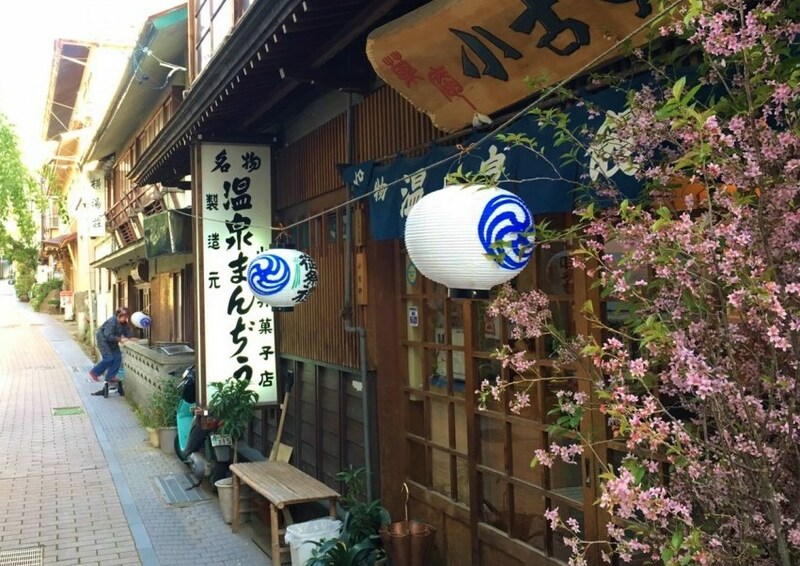 Less than 5 minutes walk from Shibu Onsen, Tamamura Honten is one of the region’s most well-known sake breweries and is open to the public from 9:00 to 18:00 (every day other than New Years Day). 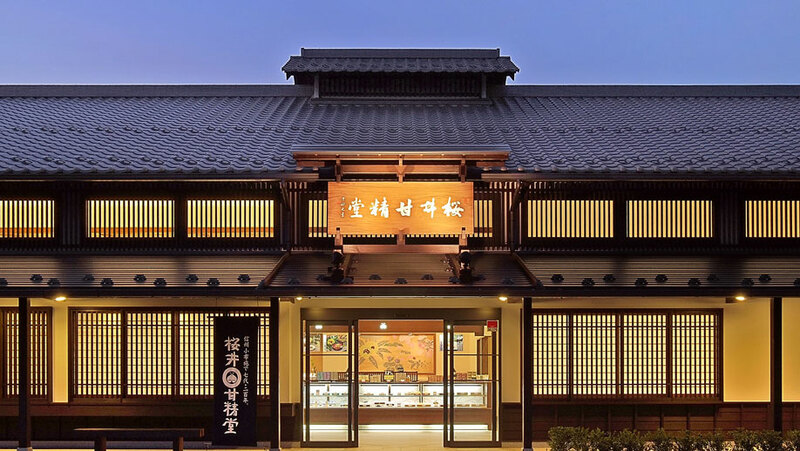 The building itself is small and intimate, offering visitors a glimpse of the alluring world of sake. While visiting the brewery make sure you head upstairs to the second floor from where you can peer into the brewery proper (via a tiny, tiny door). The building houses anart collection and most importantly, generously provides bottles of sake on the first floor bar to try for yourself. You don’t need permission to do so, just help yourself! Tamamura also produces one of the region’s best craft beers, Shiga Kogen. Increasingly popular both in Nagano and beyond, the beers aren’t available for sample but can be purchased at the brewery including on-tap. 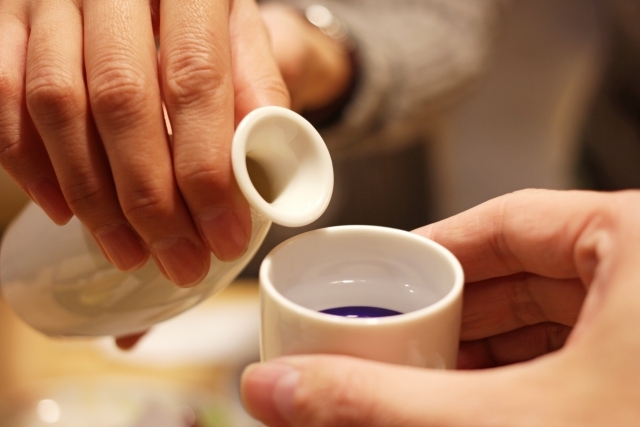 Whether in the cold of winter when a shot or two of sake will warm the cockles or in the heat and humidity of summer, when those beers taps will call out to you, a visit to Tamamura offers guests an intimate and tasty glimpse of Japanese tradition. In Buddhism, Kannon is a boddhisatva (enlightened being) and goddess dedicated to mercy and compassion. She plays a particularly important role in Buddhism, especially in Japna where she is exceptionally popular, and is manifest in countless statues throughout the country. 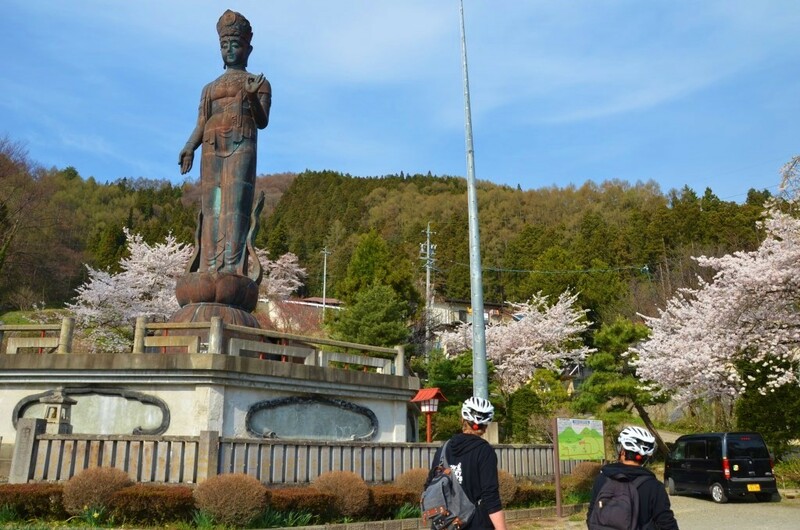 Standing gracefully over the towns of Yudanaka and Shibu Onsens, the ‘Sekai Heiwa Kannon’ or World Peace Kannon statue measures 25 meters in height and embodies the Buddhist principle of compassion. Constructed shortly before the 1968 Summer Olympics which were held in Tokyo, the statue is dedicated to world peace and speaks to a fascinating history. It is in fact a reconstruction of a much older Kannon statue that was removed during World War II and melted down for use as munitions. Positioned just outside of Daihiden Temple, visitors are welcome to head inside (9:00 to 16:00) where they will be greeted by a very friendly older couple who always appreciate international visitors coming to Daihiden. 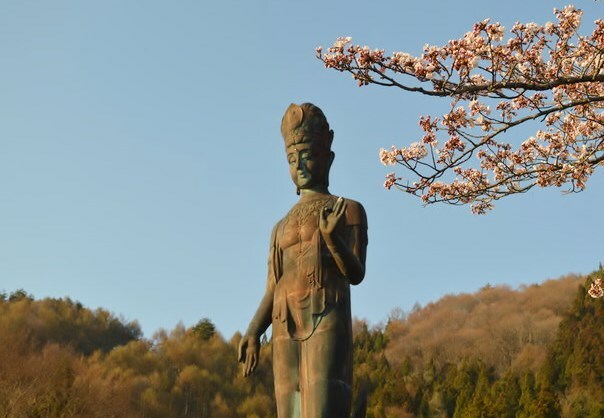 For the small entrance fee of JPY200 guests can see images of the original statue and a smaller Kannon statue which was hidden through the war to avoid also being destroyed. A flame burns inside the temple in commemoration of the bombs that ended that war, and you are invited to bang the large drum in prayer for world peace, while 33 golden statues sit in quiet reflection in the inner depths of the temple. International visitors are given an information sheet in English to assist in understanding the history and purpose of this fascinating temple. Obuse is a small, Edo-period town located a short distance from the Snow Monkey Park. 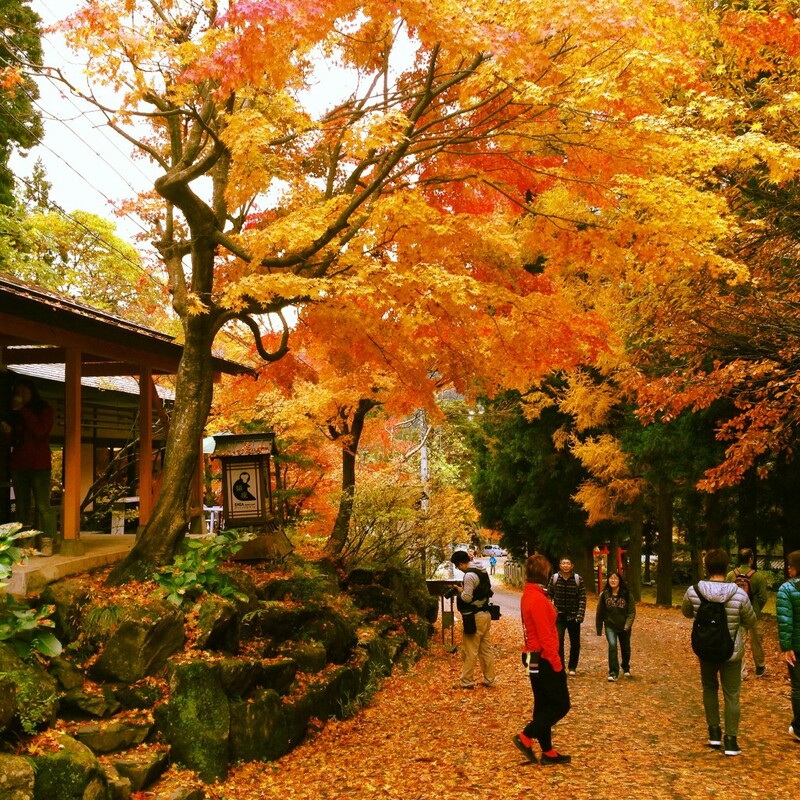 While quiet it is scenic and very popular with Japanese due to its reputation for great sake, miso, and above all else, chestnuts! 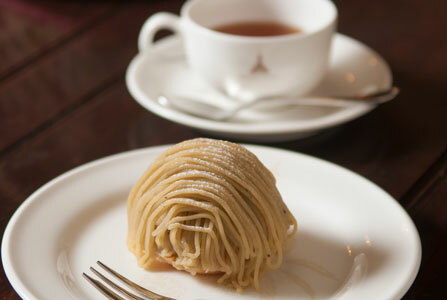 Obuse is a chestnut-lovers delight with everything from rice to candy, cakes and pastries, ice cream to pizza combined and flavored with the locally-produced, flavorful nuts. 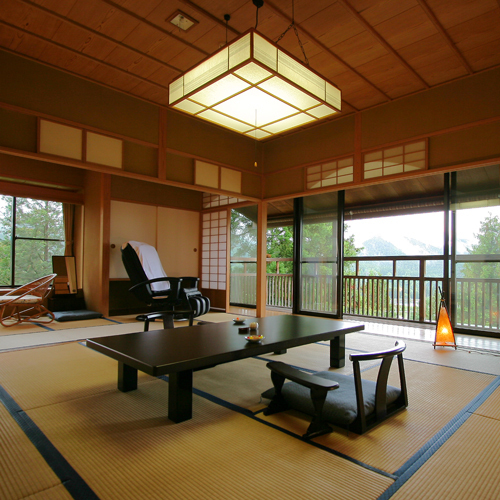 Obuse is equally well-known for its association with Japan’s most acclaimed and influential artist, Katsushika Hokusai. 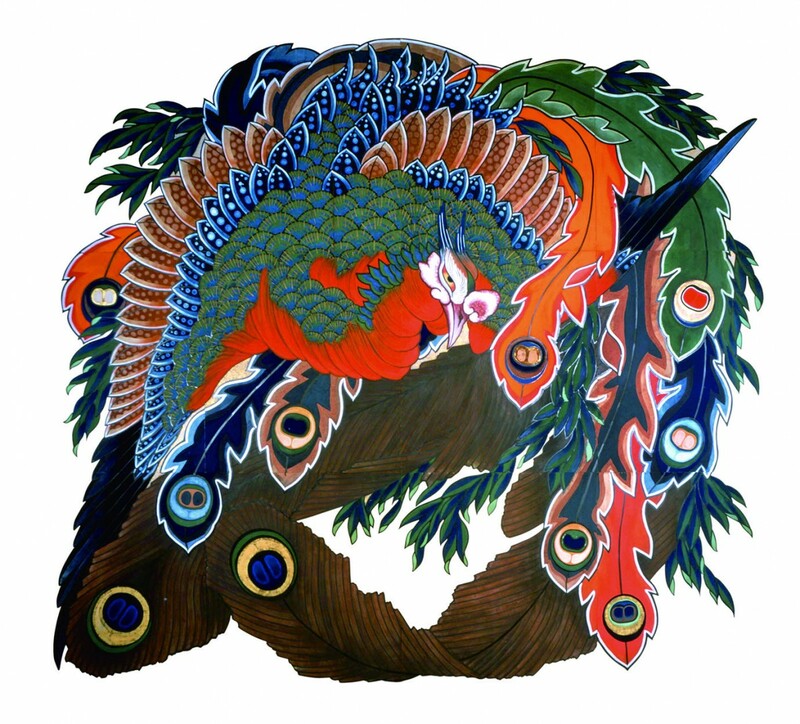 Invited to Obuse in his later years by a local wealthy patron, Takai Kozan, Hokusai produced many artworks while residing in Obuse including what is considered it final masterpiece, a phoenix (pictured below) which adorns the ceiling of nearby Ganshoin Temple. 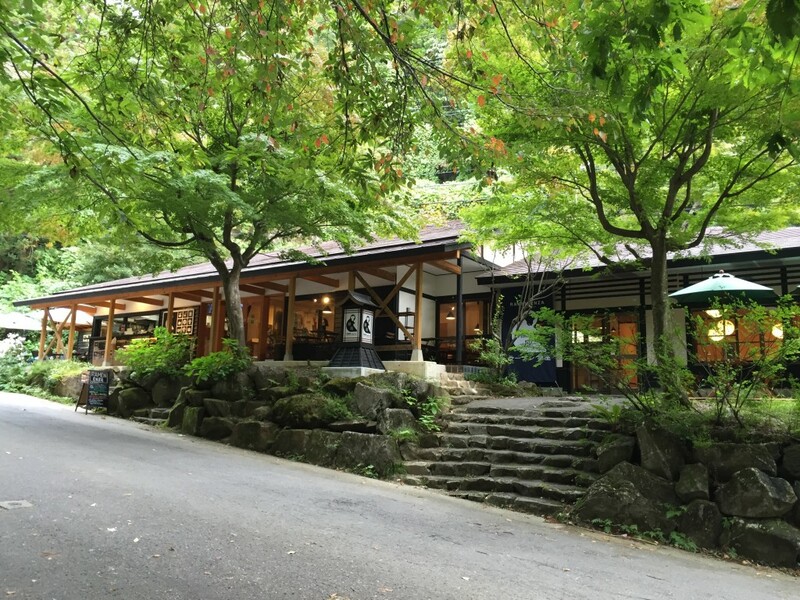 Located approximately 20 minutes walk from the center of Obuse, Ganshoin Temple is open to the public from 9:30 to 16:00 and is a must-see for fans of Hokusai and art-lovers alike. 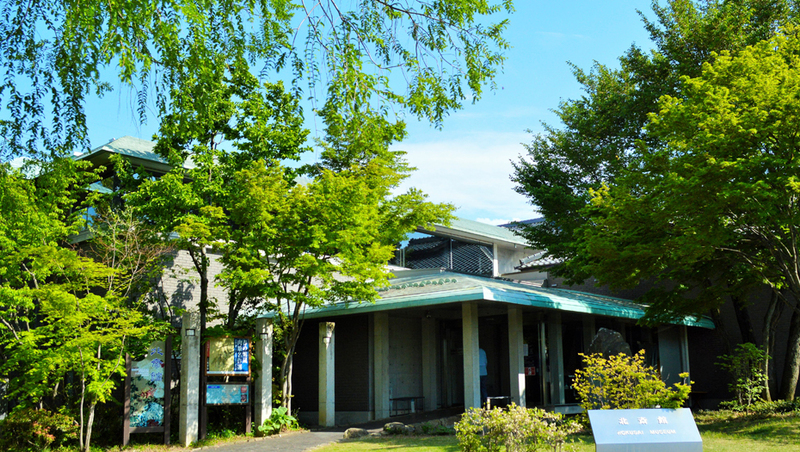 Before heading to the temple make sure to visit the Hokusai Museum (pictured below) in the center of town. Open from 9:00 to 17:00 with admission costing JPY1000 per person, the museum is a perfect introduction to the life and art of Hokusai. The museum houses numerous works and regularly shows two short films profiling the life and influence of the artist. Whether you are an established fan of Hokusai or encountering his work for the first time, the museum in the heart of Obuse is the best way to appreciate an artist who came to define a country and greatly influenced the art schools of Europe. 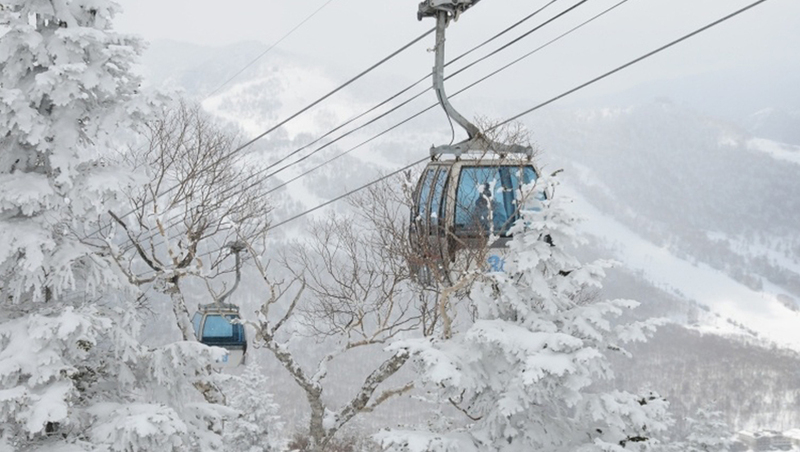 With 79 courses spread across 18 ski areas, interconnected by 51 chairlifts and gondolas, Shiga Kogen is Japan (and Asia’s) largest ski resort. 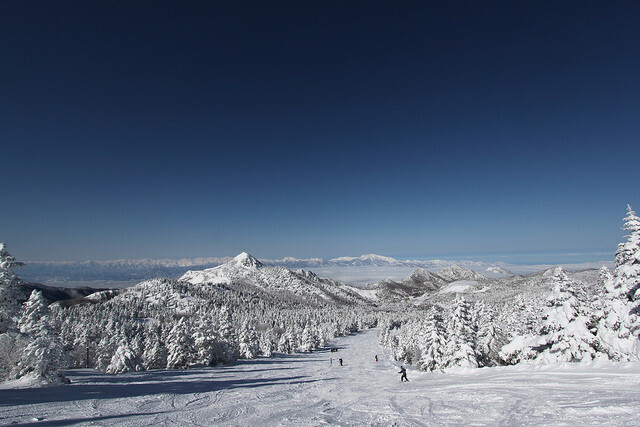 It’s elevation and unique topography bless the resort with the best powder in Nagano and a longer season that most other resorts – typically running from late-November to early-May, 8:30 to 16:30 daily. 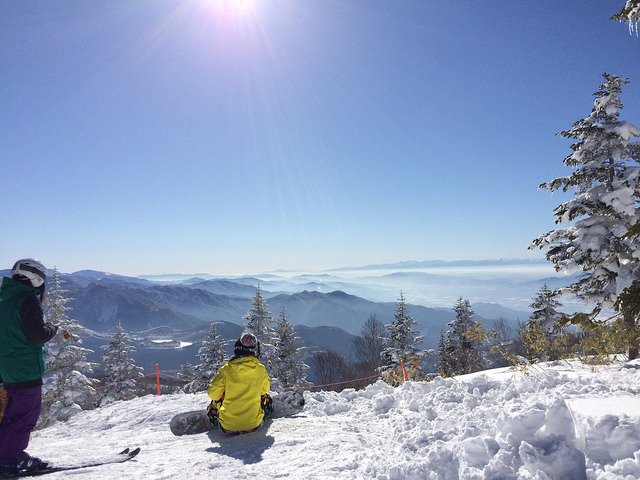 Skiing or snowboarding at Shiga is a must for any snow sports enthusiast, part-timer, or absolute beginner. One of the great charms of skiing in Japan is the quality of snow and abundance of terrain, which promises something for everyone no matter your level. 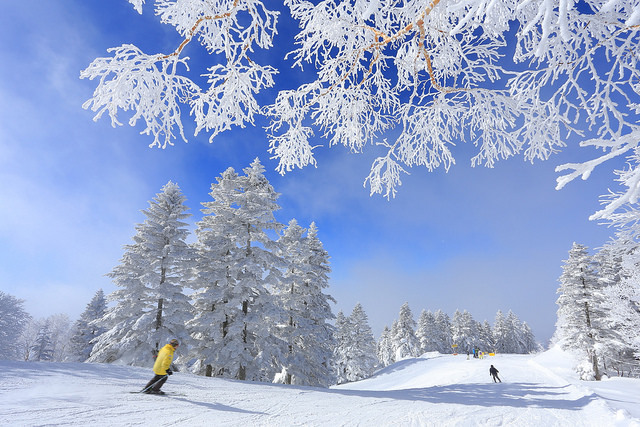 People are friendly and helpful, especially toward beginners who will feel comfortable in the relaxed environment of the Japanese ski resorts. 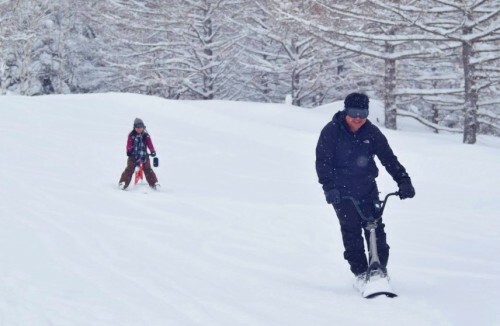 For those not up to the challenge of skiing or snowboarding, or simply don’t have the time, head to the Ichinose ski fields of Shiga, where you can enjoy snowdrives and snowscoots (pictured below), along with sleds and tubes within fenced-off activity areas and in some cases, on to the ski runs. Available from late-December to late-March from 8:3o to 16:30 everyday, Ichinose Diamond has one of two fenced-off activity areas appropriate for adults and children alike, and allows visitors to take the snowdrives and snowscoots onto the nearest chairlift and down the beginner courses above. Great fun for both adults and kids, it’s a great way to spend a morning or afternoon whizzing across the snow! In the “green season” of spring and summer the heavy snow of Shiga Kogen melts and recedes, replaced by lush vegetation and blue canopy skies. 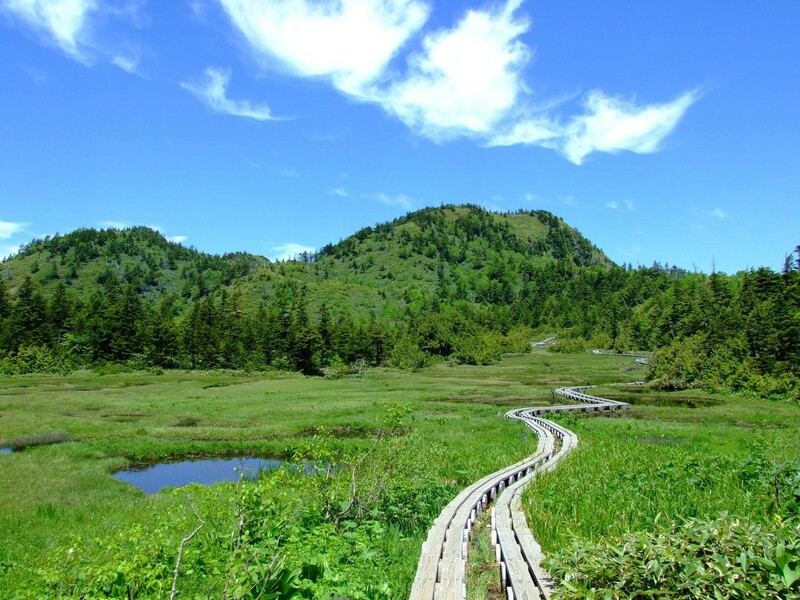 Declared a UNESCO Biosphere Conservation Area (or Eco Park) in 1981, summer in Shiga draws hikers to its numerous trails, countless lakes and ponds, and high mountain peaks. 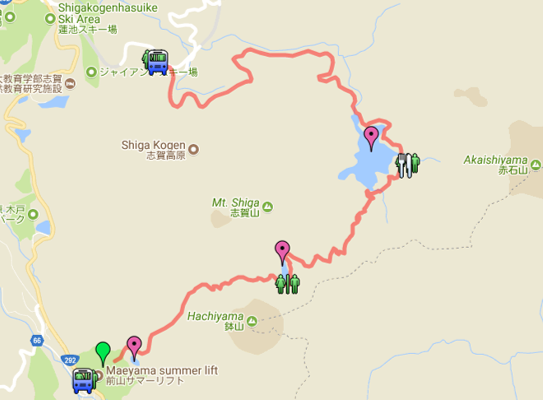 The Lake Course is the main hiking course in Shiga Kogen and is one of its most scenic, enjoyable for anyone of reasonable fitness. 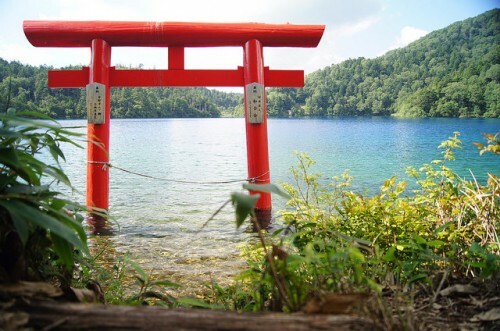 Open from June to early November, you start the course by taking the Maeyama summer chairlift to the top from where you then ascend higher into Shiga mountain and the 48 pond including Lake Onuma (pictured above). The lake is cobalt blue and so volcanic that no fishes swim its waters. With summer temperatures regularly 5°C to 10°C cooler than the valley below, Shiga is the perfect destination to escape the heat and discover the beauty and tranquility at the heart of Japan. 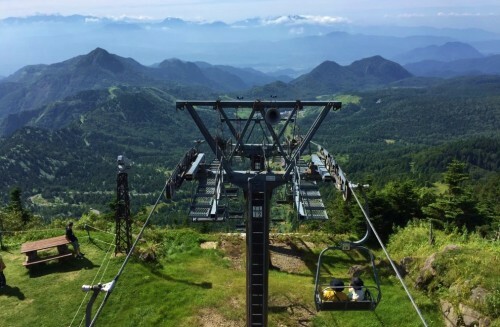 From late-May to late-October (8:45 to 16:00) Shiga Kogen operates the summer lift to the top of Yokoteyama. 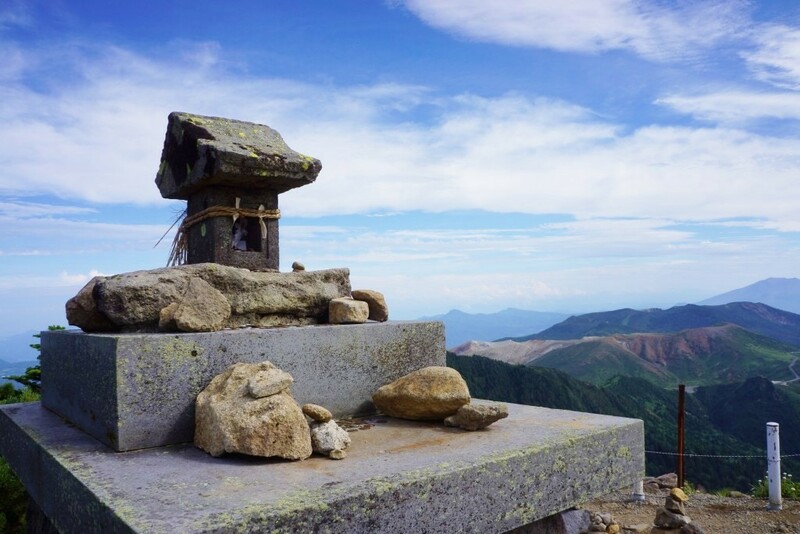 At 2305 meters in height this is Japan’s highest chairlift and one that offers visitors a stunning view of the surrounding landscape including northern Nagano including the Snow Monkey Park and five peaks of the Japanese Alps. At the top of Yokoteyama you will also find Japan’s highest bakery, a pleasant place and enjoy the view with a hot crumpet and good coffee. 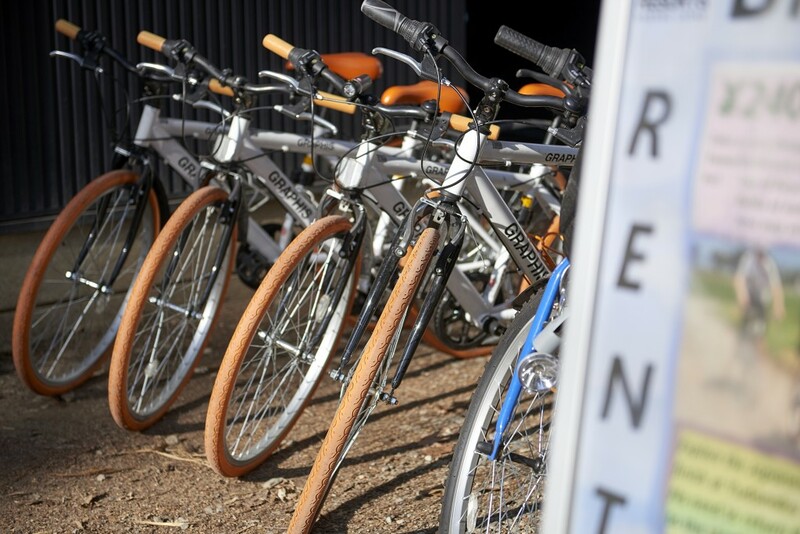 One of the best ways to explore the area around the Snow Monkey Park is riding a bicycle. 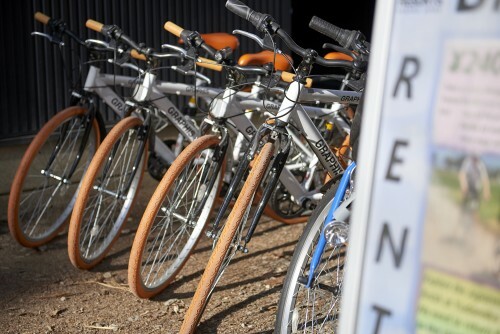 Enza Cafe (third picture below) in Kanbayashi Onsen has rental bicycles available from late- April to October (9:30 to 18:00) and offers cyclists an easy to follow route back to JR Yudanaka Station. 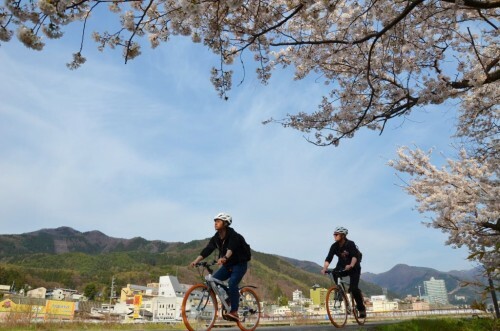 The route is designed to be leisurely while taking in some of the areas highlights including Shibu Onsen, Tamamura Brewery, the World Peace Kannon and the ubiquitous rice fields and fruit orchards that define the region. 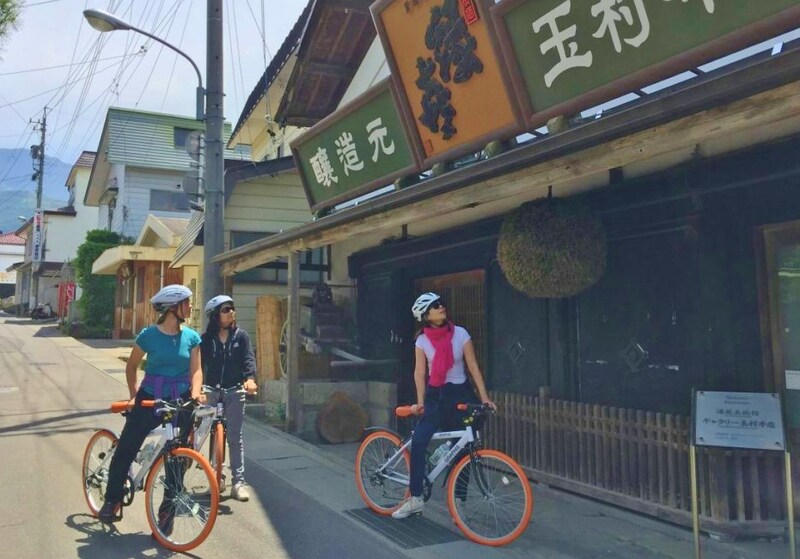 The suggested path leads you back to JR Yudanaka Station from where you can head back to Nagano, while dropping the bicycles at GOEN, one of the most popular restaurants in the area and a great place to recharge with a meal and a drink before heading on.